Memphis style BBQ sauce is smooth and sultry, just like our music! 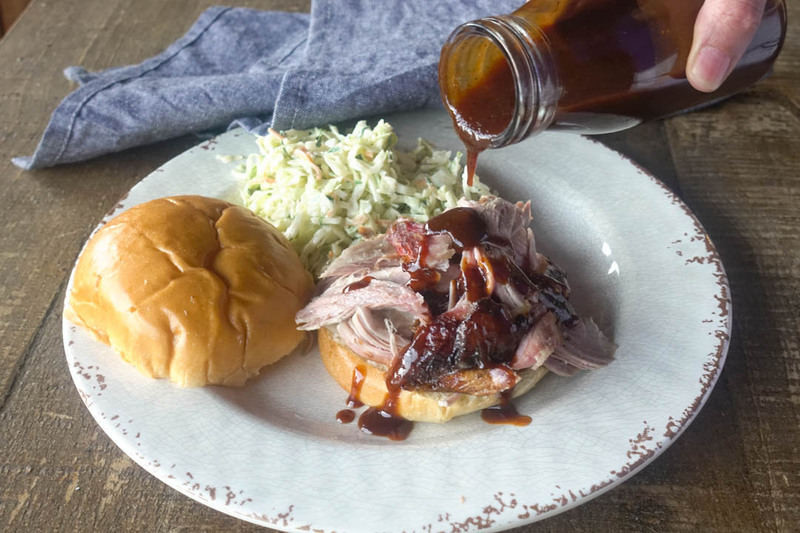 I’ve had tons of requests to post some BBQ Sauce recipes on my site. I’ve always been a believer in making your own sauces and seasoning blends as it allows you to customize your flavors. While I have included several sauce recipes in my cookbooks (hint, hint,) I’ve never had one on my website. Well, the time to change that is now! Here’s my recipe for Memphis Style BBQ Sauce. I’ve used versions of this sauce for years, and I just love it. But Texans don’t use sauce! Afficianados of Memphis style BBQ revere sauce more than devotees from other regions. Some may say it’s because our sauce is simply better. However, there’s more going on than just that. We believe that the sauce MUST complement the meat. In fact, one of the tenants of Memphis Style BBQ Contests such as Memphis in May is judging on how well this is accomplished. Now, it’s not a requirement that people in Memphis eat sauce with their BBQ (i.e. “Dry Ribs”) but if you serve sauce it definitely needs to go together. One of the ways I’ve always accomplished this is using the BBQ rub that I use for seasoning my meat as a main flavoring agent in my sauce. My Sweet Memphis BBQ Rub recipe has always been one of the most popular on my website, and if you want to make this sauce you’ll need to make that recipe as well. They go together like, well like pulled pork and BBQ sauce! Another way to help marry these flavors is to “glaze the meat.” Certainly you know by now not to put sauce on too early when you are cooking. The high sugar content will burn on the grill and result in an unpleasant flavor. Use BBQ sauce in the last 5 to 10 minutes of cooking and allow it to “set” on the meat. Instant Flavor! Well, enough about theory, lets make some Memphis Style BBQ Sauce! Just wondering, I made the rub according to the recipe in your book smokin in the boys room and I also purchased some of the rub off of your restaurants website. They’re close in flavor but which one is truer to what you use ? The restaurant rub is based on the recipe. Whenever you package something for retail, you never get it exactly the same. Nowadays, I use the rub from the restaurant and “amp it up” a little for contests.